WWII USMC HELMET & LINER SET. 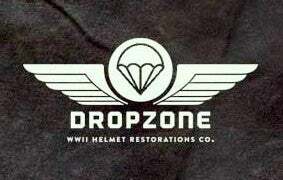 LINER: WWII Era Westinghouse helmet liner. This liner has been restored with new HBT webbing, repro Early war "Double-wire" sweatband, liner strap & nape. Original Factory OD paint. CAMO COVER: This is a replica USMC camo cover, it it has been aged & weathered to resemble a cover after heavy use on Islands such as Tarawa, Iwo Jima & Okinawa. INTERNATIONAL CUSTOMERS, MAKE SURE THAT YOUR SHIPPING ADDRESS IS CURRENT AND ACCURATE. YOU ARE RESPONSIBLE FOR "ALL" CUSTOMS FEES & DUTIES THAT MIGHT OCCUR... NOT ME. MAKE SURE YOU READ THIS!! NEED MORE PICTURES, PLEASE ASK ME! I accept Paypal, Western Union, Money Orders & Checks (But those need to clear 1st). USA shipping is $14.95. Actual cost for International orders.